Here's what a General Mills spokesman says about Caitlyn Jenner. Though Bruce Jenner appeared on the cover of the "Breakfast of Champions" back in 1977, will we see Caitlyn Jenner on a Wheaties box anytime soon? The 65-year-old won the gold medal for the U.S. in the men's decathlon at the 1976 Summer Olympics in Montreal. He set a world record of 8,616 points that was broken only in 1980. (Splash News) Bruce Jenner appears at an event to unveil three retro Wheaties boxes at the Westin Bonaventure in Los Angeles on Feb. 15, 2012. 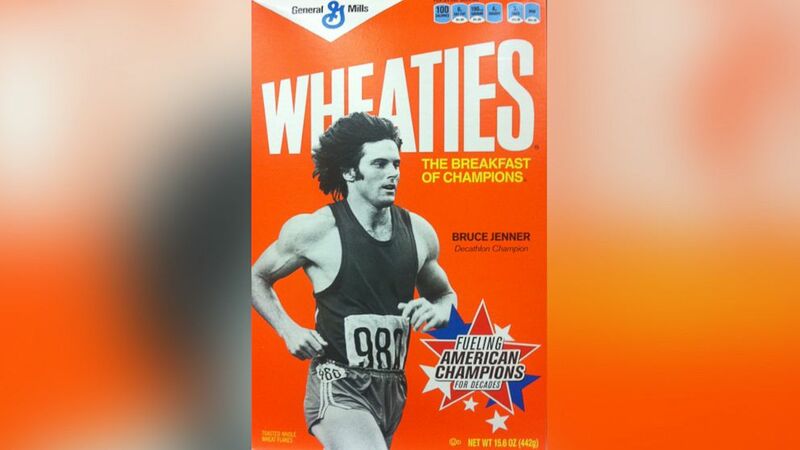 Since news emerged through an interview with ABC News' Diane Sawyer in April that Bruce Jenner was transitioning into a transgender woman, some fans have called on Wheaties to feature the former Olympian on the box to represent transgender athletes. Caitlyn Jenner's number of Twitter followers reached 1 million in only about four hours -- a new Guinness World Record. After the cover of Vanity Fair was released on Monday featuring Caitlyn Jenner, ABC News asked General Mills for its comment. Mike Siemienas, spokesman for General Mills, told ABC News, "Bruce Jenner has been a respected member of Team Wheaties, and Caitlyn Jenner will continue to be. We always appreciate hearing from our consumers, but of course we do not discuss our future marketing plans." (Splash News and Pictures) Bruce Jenner is seen on the front cover of 'Wheaties' cereal box in this undated file photo. Jenner won Gold in the decathlon at the 1976 Olympic Games in Montreal. The first athlete to clinch the honor of appearing on a box of Wheaties was pole vaulter Bob Richards, two-time Olympic gold medalist. He was a spokesman for the company from 1958 to 1970. 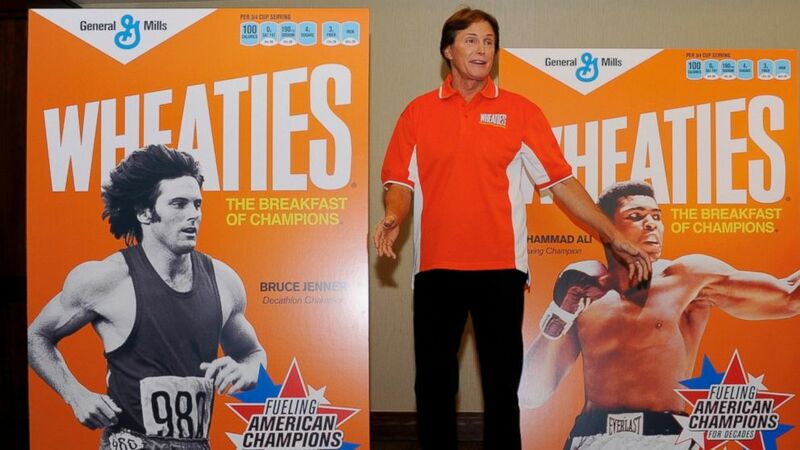 In 2012, Wheaties re-marketed iconic cereal boxes such as Jenner, Mary Lou Retton and Muhammad Ali. The athlete with the most appearances on the box is basketball legend Michael Jordan, with 18 covers.